Hello, friends! Can you believe 2017 is just about half over? I. Can't. Even. I'm writing this post on a dreary, rainy night, and not to sound melodramatic, LOL, but it's a perfect metaphor for how I feel about the first part of this year. I have a love/hate relationship with goal setting; I love having goals to work towards but hate how I feel when I don't accomplish them. I've always struggled with perfectionism, and this year, I'm feeling particularly unaccomplished. The balance between real life and reading/blogging has shifted overwhelmingly toward real life, and it's been a battle to tip the scale even slightly in the other direction. At times picking up a book or writing a post has been so daunting, it's just been easier not do it. And once you fall into a rut, getting out is a challenge. I also ended up reading a string of books that were meh, which dug the rut even deeper. I'm at least four books behind on my Goodreads reading challenge. Dammit—I really wanted to stay on target this year! 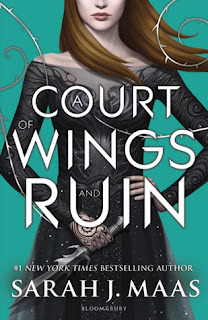 XD There is a positive to report, though: I've been participating in Book Riot's month-long bookstagram challenge, and it's been a lot of fun. I only missed two days, which is surely a consistency record for me. 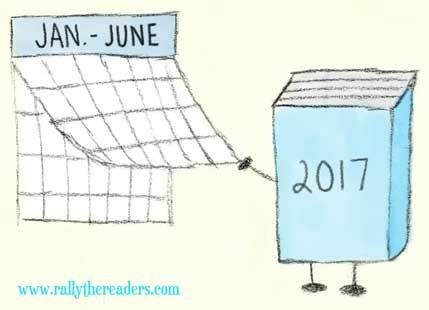 Here's hoping that everyone enjoys an awesome second half of the year with lots of amazing reads and lots of happy blogging! I'm determined to escape my reading/blogging funk and crush my GR goal (and by "crush" I mean "madly scramble to squeeze in another 23 books by December 31, hahaha!). Sorry to hear about the rut! Hopefully the second half of 2017 will be more to your liking. 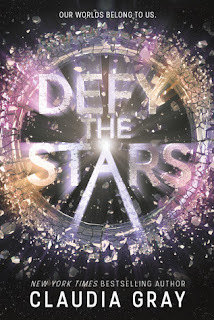 Glad to hear defy the Stars was good- I like Claudia gray's writing. Game of Thrones is almost here! Are you recapping this year? We had no rain for about a month straight here, and then it's poured almost every day since. I love rainy days, but this is getting to be a bit much, lol. Defy the Stars was amazing! I need to check our her Star Wars novels! Claudia Gray's Star Wars book were both good I thought! That's great to hear- I definitely want to read more of her books! Only 2 weeks to go until GoT- yay!!!! I ditched cable TV for Playstation Vue a few months ago; have to get HBO NOW ASAP, lol! I feel you my friend! I'm in such a blogging rut. I'm ok with reading again in normal circumstances but coming up with content for the blog has just been so challenging! I really hope we can both shake off our doldrums for the last half of the year at least - where does the time go?! Ugh, I KNOW! I could use a do-over on a couple of months. XD I also hope that we get back into our blogging groove; we got this!